i still take selective commissions over here at cosymakes. this one goes to a very special family. the gentleman has bought numerous hats from me over the years. his first was from my very first handmade arcade here in pittsburgh, then he moved away and continued to buy. 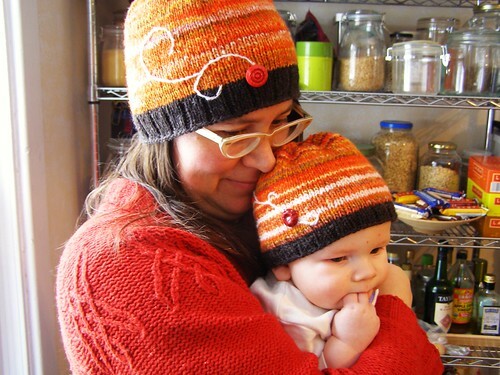 so when he and his wife recently had their first baby, he requested a matchingish mom/baby duo – round hats with an orange base. i also made the baby one so it can roll up for the rest of this winter, and roll down and fit better for next winter. having just had a baby myself, how could i refuse! 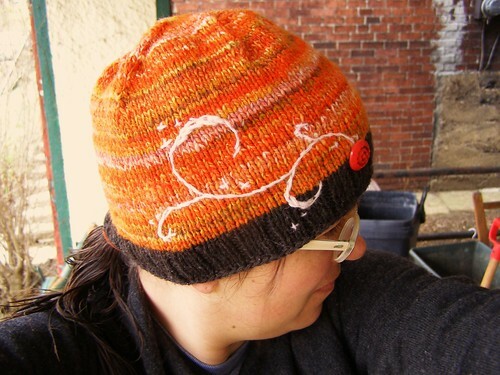 the color is a recent falkland fiber club colorway with an tiny bit of a couple extra colors spun in. the charcoal brim is some commercial wool and the embroidery is recycled sweater wool/angora. 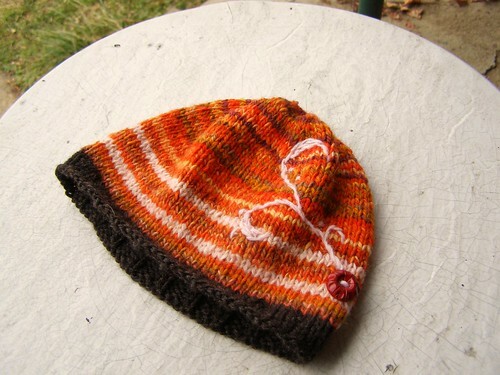 the baby hat also has hand dyed recycled sweater yarn stripes and commercial wool stripes. 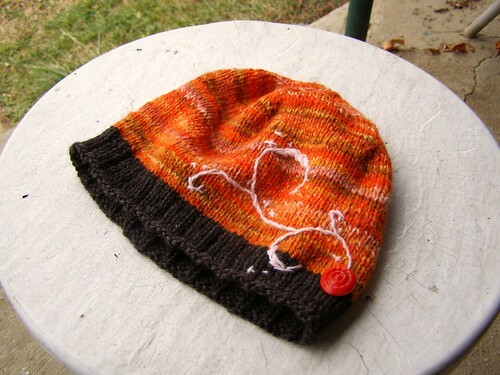 This entry was posted in community, cosyknitsliterally, handspun, hats, knitting by cosymakes. Bookmark the permalink. So, so cute! The baby, of course, and the hats too! love the swirly. Oooo, I love everything about these.